Home › Your Free Tutorials New Home! Your Free Tutorials New Home! The New Free Tutorials Area at Applied Design Intelligence! Sorry for the inconvenience, but the tutorial or page you were looking for has been updated and moved here to Applied Design Intelligence. 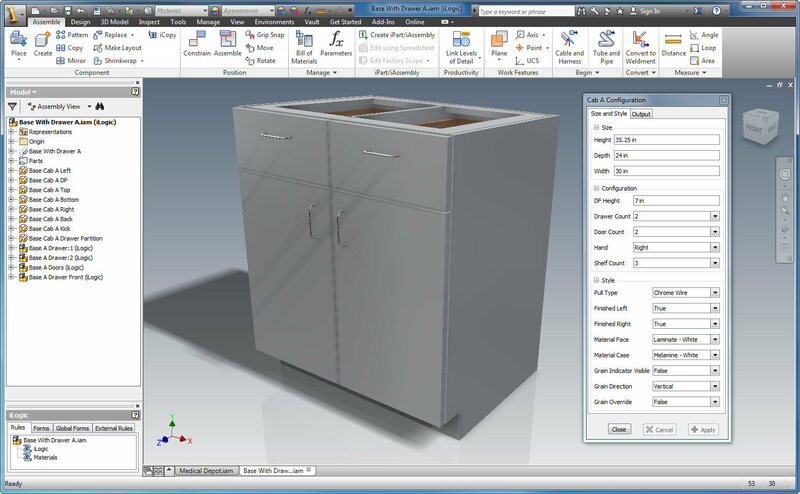 Although these Tutorials, Tips & Tricks, How-to’s and Series Tutorials will absolutely get you started with Inventor, at some point you will need to take the next step……….. or maybe you wish to move ahead far faster than these self-guided tutorials will take you. Whatever the case, you should take a long look at our Cabinet Web Portal. 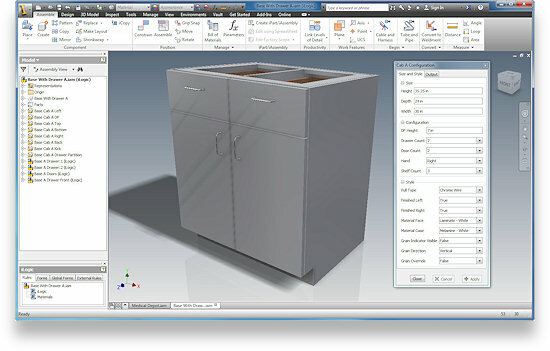 With a subscription to the Cabinet Web Portal, you will have access to free cabinetmaking configurators, advanced tutorials for using the cabinet configurators, as well as instruction on things like ERP integration, Automated Drawings, Automated Cutlists, one on one help from Mark Randa, and more. Check it out, and if you have any questions, just contact us and we would be glad to answer them for you! Also, make sure to check out our consulting, configurator creation, and other services via the menu above, and have yourself a great day!